Climb 1,500 meters this month while running and get fit for the New year! Challenge Ended: December 31, 2015 Run repeats on your local hill or go for a huge mountain adventure. 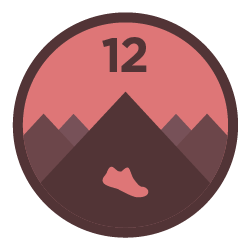 However you do it, climb at least 1,500 meters over as many runs as you like to complete the Challenge and earn a digital finisher’s badge.